In the dying throes of an Australian federal election campaign, it’s easy to forget that the rest of the world is just getting on with things, such as investing in renewable energy and meeting, if not surpassing, their carbon reduction targets. Here, we’re still caught up in the endless and, by now, exceedingly tiresome debate on the topic. Less talk, more action seems an appropriate admonition at this point. 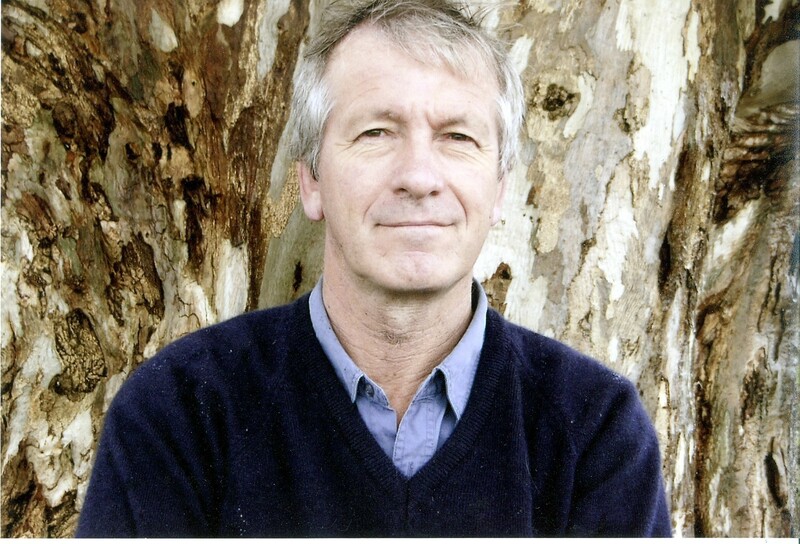 Having always wanted to go to northern Europe, and Finland in particular, I have to be happy, at this stage, to visit vicariously through my friend and tireless bioenergy campaigner, Andrew Lang. So, here’s a letter he sent me, about his tour of Finland and that little country’s booming and self-sustaining bioenergy industry. I am sitting in a small hotel in Finland having been woken up early by my brain, which is still confused about the time when daylight is appearing. This small city, Jyväskylä, is the administrative capital of the region of Central Finland which, as you’ll all know, thanks to our superbly informed media in Australia, produces over 50% of its primary energy from biomass. This means that across the region, for every household and industry, most heat and electricity comes from biomass. By 2020 the target is for 75% of primary energy to come from biomass, which means almost all heat and electricity and some transport biofuels. Some might say that this has been achieved because of some weird Nordic unsustainable forestry practices and others might accuse the Finns of faking the books by classifying peat as a form of biomass fuel (which, of course, it is if you think in 100-year time spans, which the Finns do). But in fact this massive shift to a renewable energy source has been achieved by utilising waste wood and residues from regular and highly sustainable management of the slow growing forest resource – which is mostly owned by families or individuals, where the forest has often been in the family for generations and they value it for many more reasons than the sawlog harvest produced once every 70-90 years. 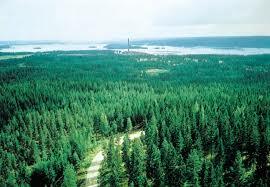 The forest is everywhere in Finland. What is not lakes and rivers (which make up about 10% of the land area), or arctic mires (another 10%), or arable and pasture land (maybe 15%) is forest. And at this time of year it is looking good, with the birch trees that are the most obvious hardwood (‘hard’ being a very relative term in this part of the world) bearing leaves that are just starting to turn. So the new combined heat and power (CHP) plant we visited yesterday is an example of what is commonly found everywhere in Denmark, Sweden, here, and in a few other enlightened countries. It takes in woodchip (maybe 150,000 tonnes a year) and produces about 23 megawatts (MW) of electricity. About 22 MW of this goes into the national grid, providing for over 30,000 energy-efficient Finnish homes. Normally, none of these households use electricity for heating, but only for cooking, appliances and lighting. 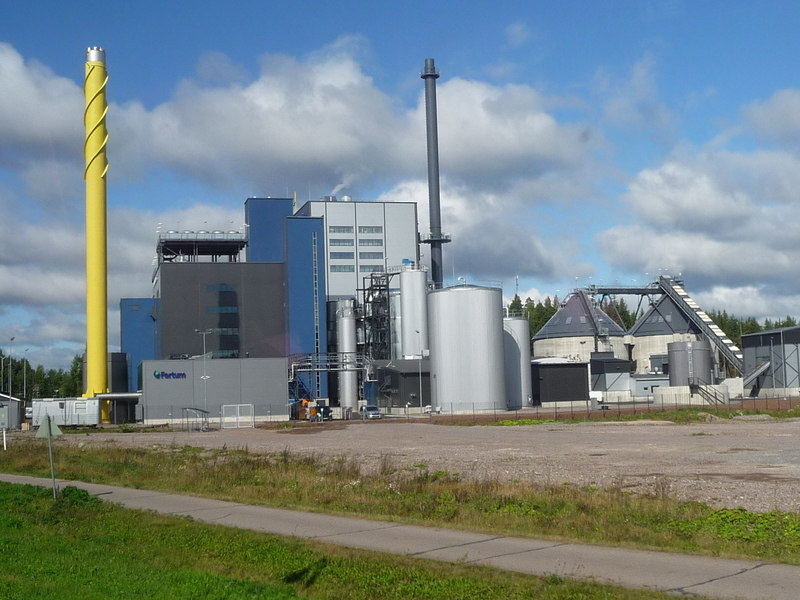 The brand new combined heat and power (CHP) plant near Jyväskylä. Heating for houses and industry within about 10-20 km radius of this plant comes from the 45 MW of heat that is the inevitable result of combustion, and that goes into the local district heating grid. This means that this CHP plant is over 90% efficient, or, to put it another way, that over 90% of the energy value of the fuel winds up as energy that is able to be utilised. By contrast, Victorian brown coal-fuelled condensing power plants have 25-30% efficiency, and an open cycle natural gas turbine generator is about 40% efficient. A final point about the heat is that the profitability of the plant depends on the sale of this heat. In the Finnish market, as in most including ours, heat can be more costly per megawatt-hour (MWh) than electricity. So the electricity sells into the Nordic electricity pool at the spot price of the moment – usually 40-50 Euro/MWh. While the heat sold to households, and measured at heat exchangers at each point of withdrawal of heat energy from the loop, is priced at 65-70 Euro/MWh. Annually this plant will produce 280,000 MWh of heat and 130,000 MWh of electricity. This brand new plant cost about $100 million and so has a capital cost per MW capacity of about $5 million. This compares very well with onshore wind, as the wind turbines have a production factor of about 35% at best while the biomass-fuelled plant has a capacity factor of 95% or better. In other words, one is a totally predictable source of baseload electricity (and heat) and the other is intermittent and seriously unpredictable. In Victoria, where we have a series of old and inefficient condensing plants that need to be replaced, the above should be taken into account in the discussion of whether to replace each 1000 MW of capacity with 1000 MW of more modern coal-fired plants equipped with carbon capture and storage technology (effectively tripling the capital cost/MW and soaking up about 25% of the electricity produced) or with closed cycle natural gas fired turbines (about 60% efficient but requiring large amounts of potable water for cooking the steam cycle). Or, should we in fact replace them with smallish biomass-fuelled plants located close to biomass sources and heat users. I know I have left out a mention of solar PV, but somehow I find the fact that stimulating solar PV (it drove German electricity retail prices though the roof and bankrupted the Spanish government) is a bit of a worry. Solar in Australia is obviously far more sensible than in Germany, but it is still a very costly way of making electricity and requires maintaining the full array of baseload fossil-fuelled plants on standby for times of cloudy, rainy weather and for short gloomy winter days (and for night time of course, and the nuclear winter… ). So, biomass-to-energy would appear to be the way to go, and the sooner Australians realise that this form of renewable needs some serious consideration, the better off we all will be. Regards from Andrew, in Finland. The Buzz would like to be part of a conversation on biomass and bioenergy in Australia, so please contribute your thoughts and ideas via comments or by using the form here. Andrew Lang can also be contacted via The Buzz or on LinkedIn.